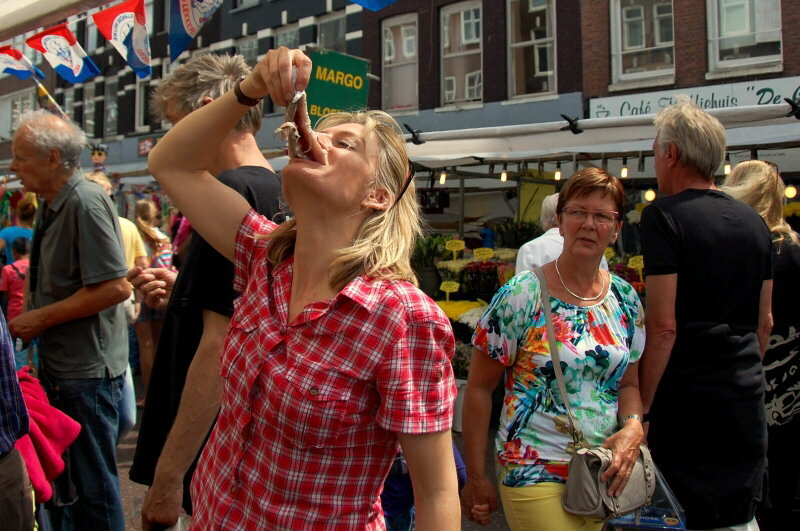 Anniversaries abound in Amsterdam this year and with so many special events to mark them, what better time to visit? Karen Bowerman suggests a few things to see. You know about the coffee shops, red lights and ladies, right? But how about the birthdays? 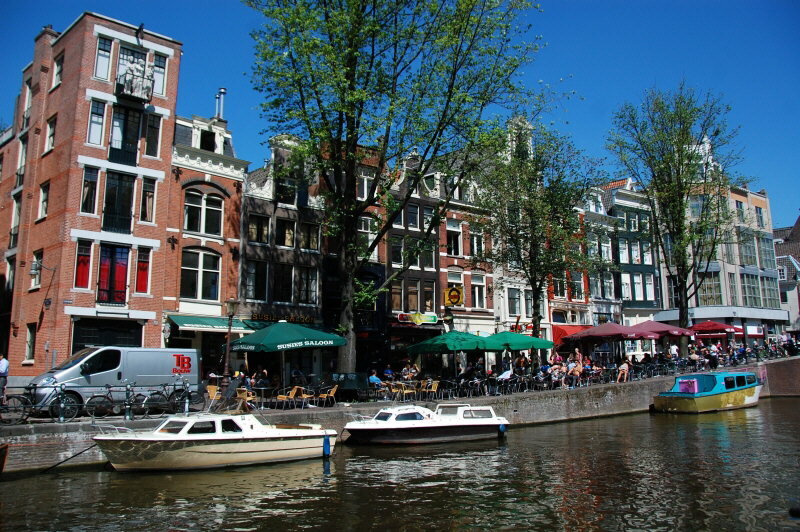 Anniversaries abound in Amsterdam this year, making it a special time to visit. To give you a quick rundown: the city’s famous canal ring celebrates 400 years, the Felix Meritis cultural centre 225, the zoo 175, the Concert Hall and orchestra 125, the Frans Hals Museum dedicated to the famous Dutch painter 100 and the Van Gogh museum 40. (It’s also Van Gogh’s 160th birthday). 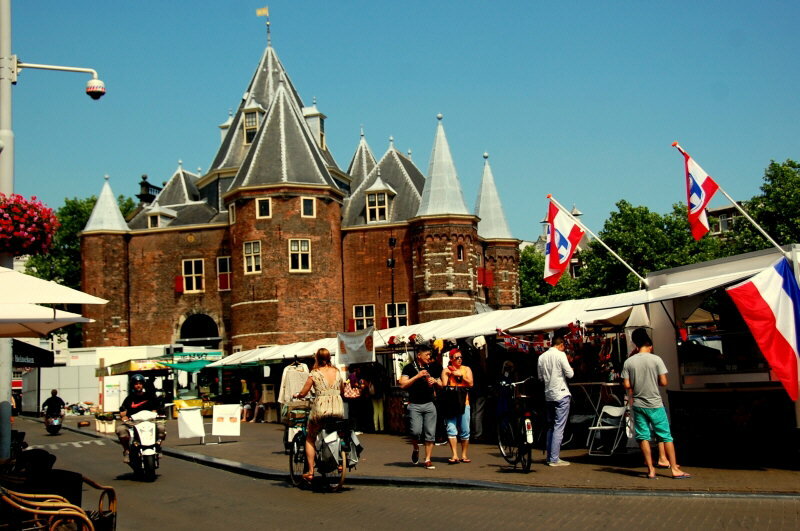 The city’s premier museum, the Rikjksmuseum, home of the ‘The Night Watch’ by Rembrandt needs mentioning too. Although it doesn’t actually have an anniversary, it is 10 years since it closed for renovation, and having re-opened this year with all 8000 works (except for Rembrandt’s) in different places, I’m including it for effort. All this means that if you’re visiting, you may need to be a touch selective, but get yourself a good guide (and some sensible walking shoes) and you’ll be amazed at what you can squeeze into a short break. With someone to follow, and someone with a wealth of information to boot, weaving your way round a city defined and divided by canals, will soon seem a whole lot easier. 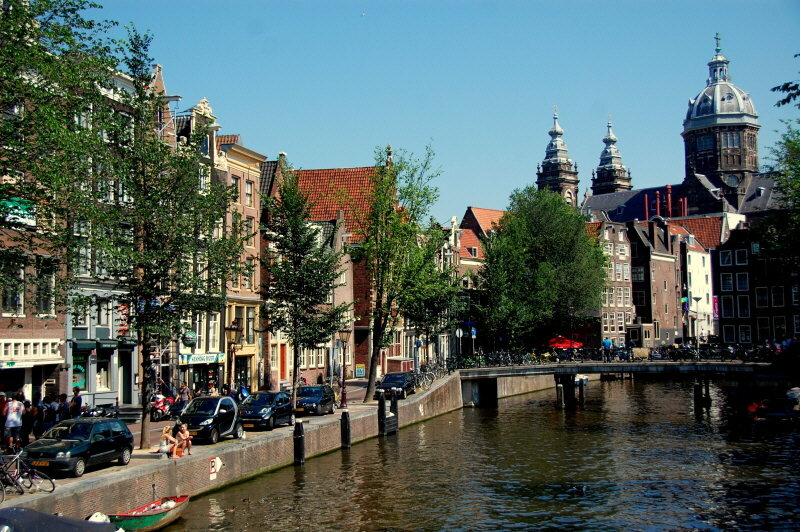 Amsterdam (named after the building of a dam on the Amstel river in 1250) has 165 canals although 1000 years ago it was largely marshland inhabited by settlers who struggled to keep back the sea. The city’s progressive expansion, engineered in the 17th century by the merchant class who knew the tricks of the trade (and where to lay their hands on the money) led to the Amsterdam we largely know today. Thanks to the merchants’ practical approach and inspirational planning, the city benefited from separate residential and trading areas, green spaces and an efficient waterway system (the Canal Ring), which all contributed to successful trade. The recently opened interactive Canal Museum, charts the growth of the canal district using all the latest technology. My favourite display was a huge model of a canal house where images of tiny, 3D people were projected into its rooms, depicting life in the city through the centuries. Look out for the museum’s owner playing the grand piano, the child singing a popular Dutch ditty in the bath and a guy from the eighties sitting at the end of a bed, casually strumming his guitar. If you want to wander through a well-to-do 19th century canal house with an impressive grand salon and immaculately-laid out dining room, visit what was once the home of Abraham and Louisa Willet-Holthuysen. Louisa was a lady of leisure who loved pets. Abraham had a passion for art. His collection, featuring more than 10,000 photos from Europe, along with paintings, glassware and figurines is the only private collection that remains in situ in the Netherlands. You can see a few of Abraham’s curiosities in the octagonal collector’s room where he would have shown them off to guests. She showed me one of his original palettes, still daubed with paint, and a model of a frame, strung with thread in the form of a grid, which he used to help him understand perspective. He would set the frame in front of his composition and map out the picture accordingly. The museum has a life size model of a frame, so visitors can try the technique for themselves! While the Museumplein is home to the city’s leading museums, some of the smaller ones are equally intriguing. 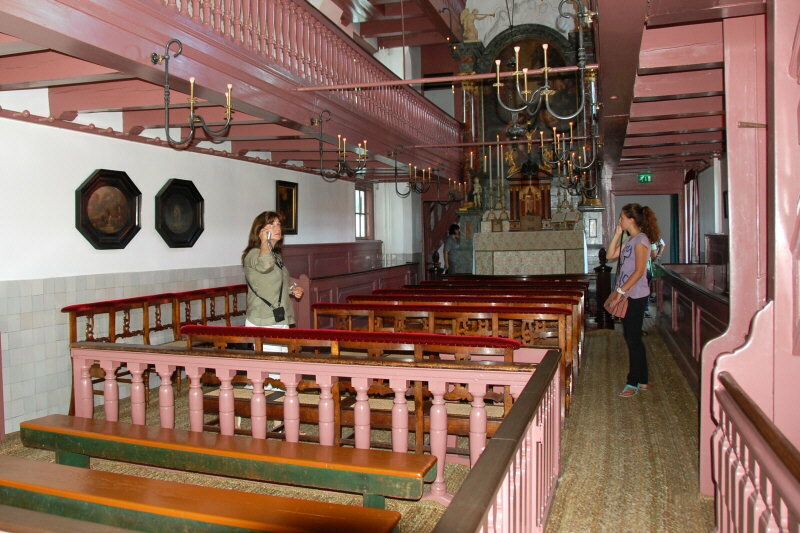 Among them is the Lord in the Attic Museum, a 17th century catholic church built in the attics of three adjoining houses in the centre of the city. It was one of Amsterdam’s clandestine catholic churches (the rise of Calvinism meant it was forbidden to celebrate mass in public) although as Bert (a fount of knowledge) at the ticket office explained, it wasn’t much of a secret, given the hundreds of Catholics that used to creep in and out of its doors. Inside, woodwork has been repainted in its original colour (an aptly named Cardinal Purple) while there’s an interesting portrait of the church’s first priest Petrus Parmentier with a profile so strange (note the angle of his chin) that it’s thought it was probably painted after he’d been laid out for burial. Be prepared for lengthy queues at Anne Frank’s house and to be shunted in, round and out in an hour. The main attraction is the cramped, rear annexe where Anne and her family (who were Jews) hid from the Germans during the Second World War. They were betrayed and sent to Bergen-Belsen concentration camp in 1944. The annexe, hidden behind a bookcase (full of original books and files) is empty, on Anne’s father’s request. He wanted to signify the void left behind after 100,000 Dutch Jews were murdered in concentration camps. It’s good to be able to walk through the rooms but difficult to imagine how they once were. 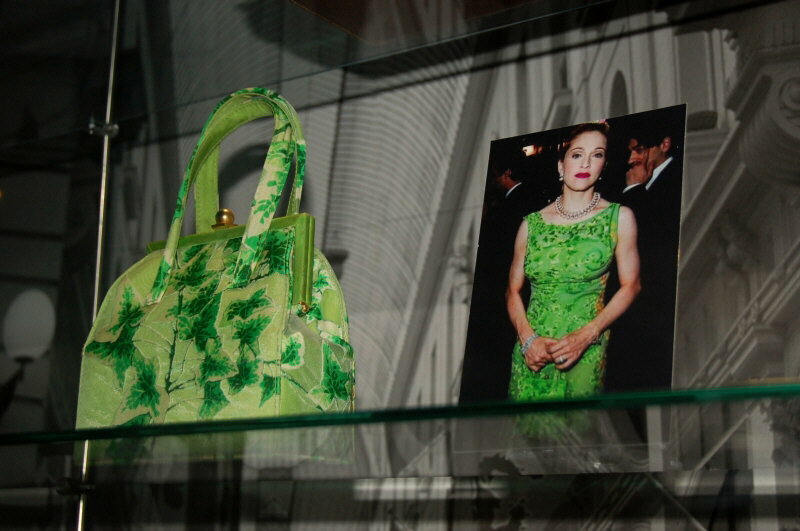 On a much lighter note head to the museum of bags and purses, for a history of the handbag. Look out for the bag that’s also a phone, the bespoke, ivy-patterned Versace number owned by Madonna and the oldest in the collection – a man bag no less – with 18 compartments. Then treat yourself to coffee in the exquisite 17th century tearoom. Talking of refreshment, my guide Yvonne, who knew the answer to every question I threw at her, took me to Cafe Het Aepjen, decorated with huge models of apes. ‘Aep’ means fool in Dutch, and it was from here that many a drunk sailor got carted off to sea by shipowners looking for crew. The cafe’s open til 3am, so no need to rush your drink. 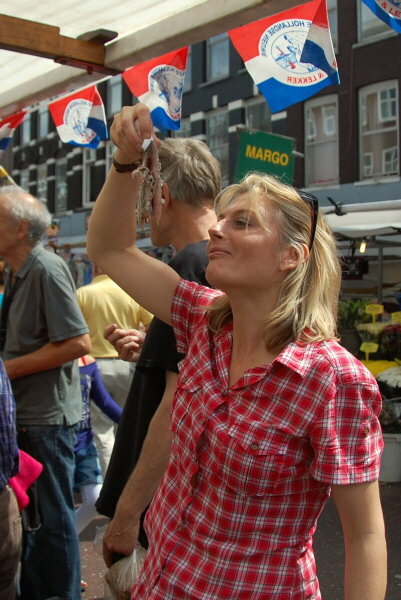 For lunch, try beef croquettes (a snip at 6 euros) on white bread – typical Dutch fare – or pick up some herring sprinkled with diced onion from Albert Cuyp – the locals’ market. (If the fish is red inside then it’s beautifully fresh). Polish it all off with a shot of Jenever, (gin) which, as Yvonne pointed out is “nothing like the bitter stuff you drink in England.” She was right. This was sweet and almost creamy – although I couldn’t knock it back in one. As for dinner, restaurants abound. I enjoyed an Indonesian feast at Puri Mas (lamb, chicken and prawn kebabs, followed by beef lamb and fish curries) and an enjoyable evening at De Belhamel – perfect for canal side dining away from the crowds. (More eaterie suggestions below). I left Amsterdam feeling that although I’d crammed a huge amount in, there was still plenty to see. I don’t leave many cities with plans to return, but I think this is one of the exceptions. 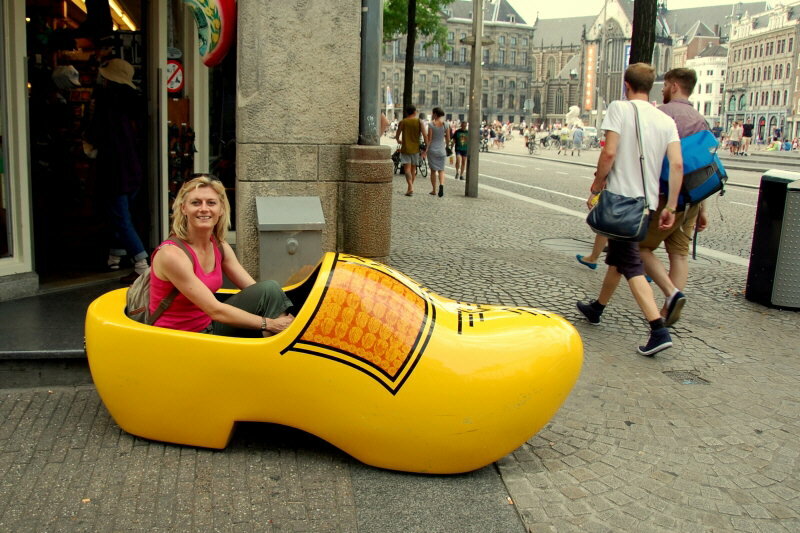 Visit many attractions for free with an I amsterdam City card – which includes a travel pass for unlimited travel on buses, trams and the metro. Both valid for 24,48 or 72 hours. Prices are 42, 52 and 62 euros respectively. 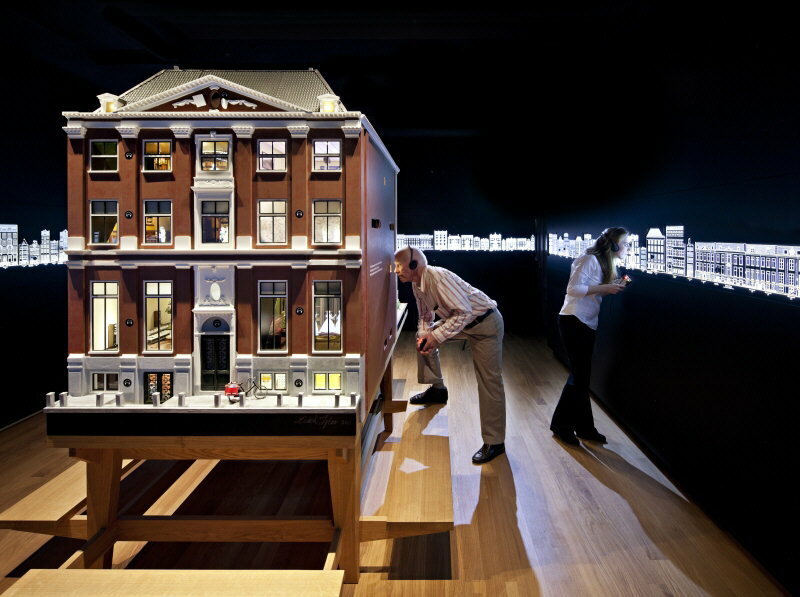 The I amsterdam card is NOT valid for the Anne Frank house and offers only a small discount at the Rijksmuseum. The Grand: hidden just off one of the canals, it has a pool, steam room and sauna and the option to dine in the courtyard for breakfast. Rooms from 290 euros a night. Van Gogh museum: Guided tours available. Adults €15. Up to 17, entrance is free. 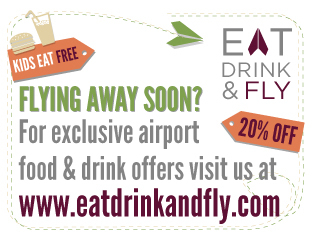 Open daily from 0900-1700/1800; open Fridays until 2200. Van Gogh at Work runs until 12 January 2014. Rijksmuseum: Highlight tour available (80 mins) Adults €15. Up to 18 free. Open 0900-1700, 365 days of the year. The I amsterdam card offers a discount but not free entry. For the more unusual and chilling experience, try The Amsterdam Dungeon that brings together an amazing cast of theatrical actors, special effects, stages, scenes and a ride in a truly unique and exciting walk-through experience that you see, hear, touch, smell and feel.